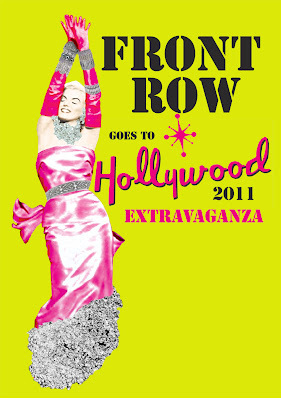 I have the absolute pleasure to introduce the next FRONT ROW 2011 event dedicated to everything glitzy, from movie stardom & red carpet glamour to the golden era of Hollywood in fashion - and all over two days! An illustrious group of designers, stylists and creatives will blow you away with their movie inpired catwalk collections on the night, using vintage, customised second hand, as well as charity shop clothes by St. Michael's Hospice and PAPER COUTURE. All guests are encouraged to bring a maximum of 4 quality garments they don't want or need anymore in exchange for something "new" - you might just find the perfect outfit to take home on the night! Get your own creativity flowing and take the challenge – find charity shop clothes to a budget of max. £10.00 and re-work and customize them into an outfit to the theme „FILM STAR“. 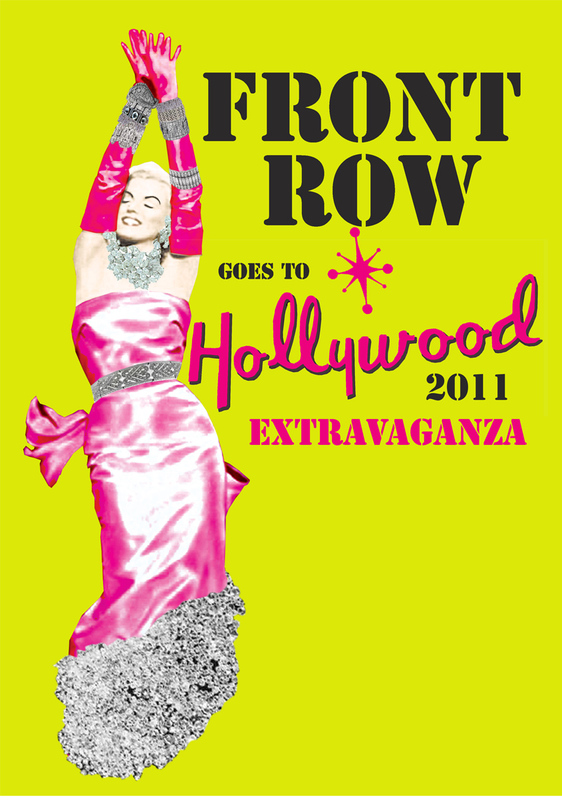 The winners will then model/or have their creations modeled on the FRONT ROW catwalk. Come in your most beautiful outfits and have your picture taken by a professional photographer - the perfect present to yourself and others. An indulgent day of glorious fashion to peruse and buy, a chance to find THAT beautiful outfit for the festive season and lots of presents, with 30 stalls to choose from selling fashion, hats, bags, jewellery and other accessories at affordable prizes. There will be music & delicious refreshments. THE FIRST 100 WHITE TICKETS SOLD WILL RECEIVE A GOODIE BAG ON THE NIGHT! Due to a smaller venue this year, the amount of tickets issued are limited, sorry!